Located in Cambridge, Massachusetts, part of the Metropolitan Boston city, in the center of Harvard Square and adjacent to Harvard University, The New England School of English (NESE) is known for providing an intellectually challenging program of the highest quality in a supportive and welcoming environment. Boston and Cambridge are cultural centers with superb museums and concerts. We enjoy an excellent reputation with students and professionals throughout the world. Founded in 1990, NESE has grown to become one of the largest English programs in the United States. Our size allows us to separate students by age as well as ability. We always have classes for professionals with separate computer labs, lounges and separate housing. 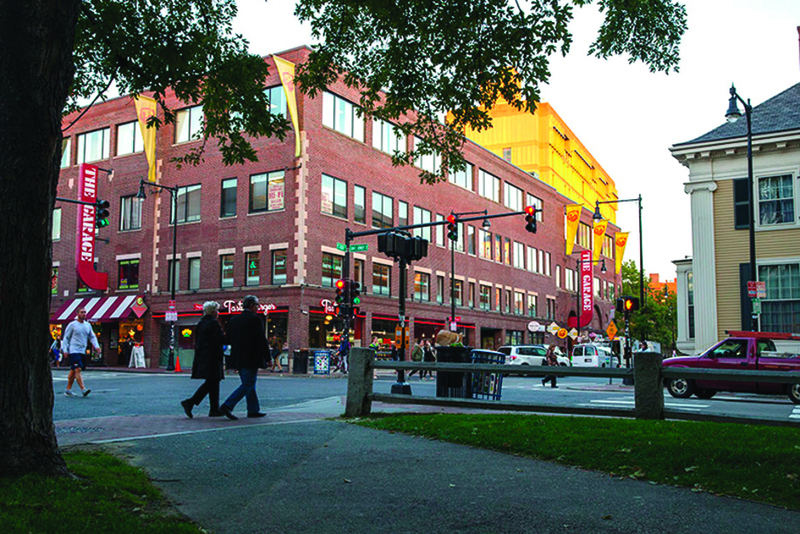 Harvard Square is a transportation hub making access to public transportation extremely easy. Highlights of NESE include: Located in One of the Most Dynamic Student Centers in the United States / Founded & Managed by Educators / Key Staff Trained at Harvard / Intensive and Semi-Intensive Programs / Programs for Students, Professionals, & Seniors / Small Classes / Grammar & Idiom, Reading & Writing, Conversation & Listening, Intensive TOEFL Preparation, GMAT Preparation, Business English, Legal English, University Preparation, Pronunciation and more… / College Counselling & University Placement Service / Admittance into Colleges and Universities without TOEFL / Choice of Homestays or Student Residence throughout the Year. NESE recognizes that students have needs and goals that are different from those of professionals. Further, no two students are alike, each having his own unique learning style, purposes, strengths, and weaknesses. Because recognizing and working with these individual differences is what NESE specializes in, students at NESE feel especially well supported. Taking the NESE Institutional TOEFL® Exam benefits NESE students in many ways. As all ETS exams are internationally recognized, and as NESE offers this exam every 4 weeks, NESE students are easily able to objectively demonstrate their progressive achievement to outside institutions. Taking this exam every session also provides university-bound NESE students with frequent practice for the Official TOEFL® Exam, should the institution of their choice require it. However, fortunately, NESE's Institutional TOEFL® Exam is accepted by many of NESE’s NUPS Partner Institutions in place of the Official TOEFL® Exam. NESE students benefit from the school's long history of teaching TOEFL® courses and providing the Institutional TOEFL® Exam, and because of our experience in this area, NESE students are poised for success. and Columbia. Regardless of where our teachers obtained their degrees, NESE teachers are dynamic professionals with exceptional teaching experience, all of whom have been selected to teach at NESE because of their high level of expertise and dedication.